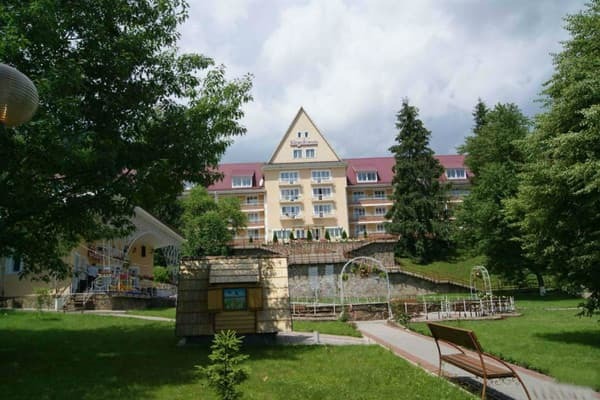 Sanatorium "Borzhava" is located in the heart of Transcarpathia, near the river Borzhava. 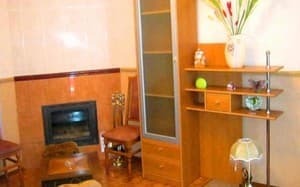 For living guests are equipped with two three-story buildings and 10 euro cottages. Each room has a TV-set, a bathroom and a toilet. For the comfort of the residents there is a round-the-clock water supply. Guests can relax at the volleyball, badminton and table games. On the territory of the sanatorium there is a guarded parking lot. The administration of the sanatorium organizes various excursions, horseback riding, master classes. There is a cafe on the territory of the sanatorium, as well as a canteen. In the menu of dishes of Transcarpathian cuisine. The cost of accommodation includes 4 meals a day, up to 4 honey treatments a day for each person, as well as an entertainment program. 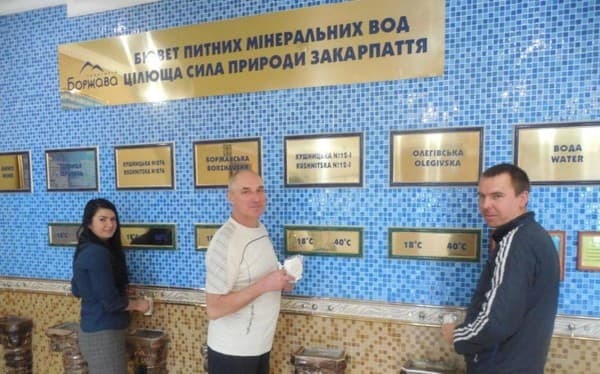 There are 4 types of drinking mineral water and thermal water in the sanatorium. It is provided for the appointment of the attending physician diet food. Sanatorium "Borzhava" is located at a distance of 33 km to the town of Svalyava and 100 km to the city of Uzhhorod. ATTENTION! We need a sanatorium book. Description of the room: One room with separate beds in the building. The room rate includes medical services. 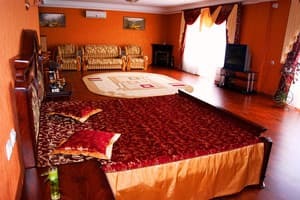 Description of the room: One-room cozy room with a large double bed. The room rate includes medical services. Description of the room: Two-room suite with a large and one single bed. The room is located in the building. The room rate includes medical services. 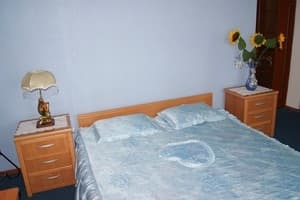 Description of the room: Large one-room with a double bed. The room rate includes medical services. 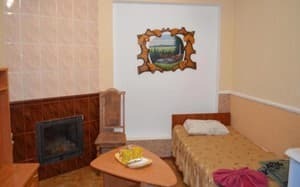 Description of the room: Two rooms in the cottage is equipped with a large double bed, seating area. The room rate includes the medical services. 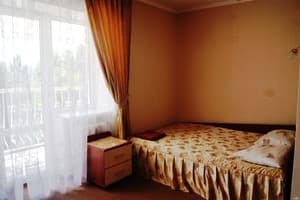 Description of the room: The room is equipped with a double bed, two balconies. In the bathroom there is a shower box-cab. The room rate includes medical services. Description of the room: Cozy one-room is equipped with a double bed. It is located in the building. The room rate includes medical services. Children under 5 years without a separate seat are accommodated free of charge, with the provision of a place - 50% of the cost of rest. On the territory of the sanatorium there is a cafe, as well as a dining room, it is possible to order food. In the menu of dishes of Transcarpathian cuisine. It is provided for the appointment of the attending physician diet food. Possible delivery of food to the room. 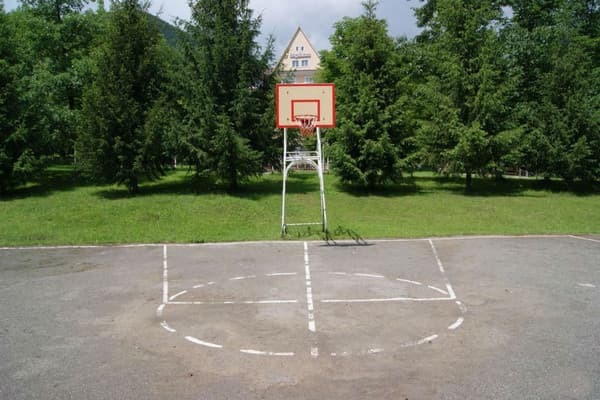 Sanatorium "Borzhava" is located in the heart of Transcarpathia, near the river Borzhava. 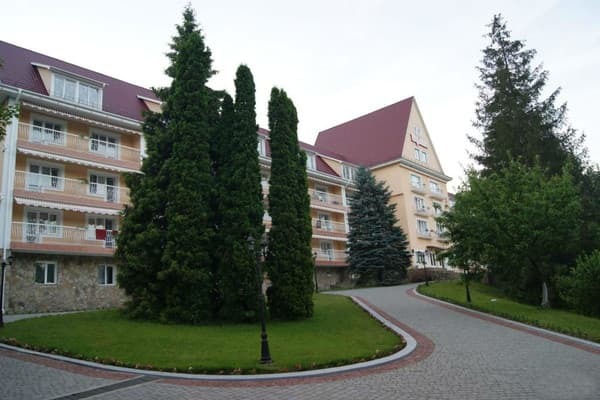 The sanatorium is located at a distance of 33 km to the town of Svaliava and 100 km to the city of Uzhhorod. Medical services that are provided: balneotherapy, electrotherapy, heat treatment, massage, singlet-oxygen therapy, aerosol therapy, aromatherapy, phytotherapy, wine therapy, physiotherapy, diagnostics, cosmetology baths, mineral pool, drinking mineral water Borzhavskaya, Kushnitskaya "," Olegovskaya ", infrared sauna, SPA-procedures. By train to the town of Svaliava. 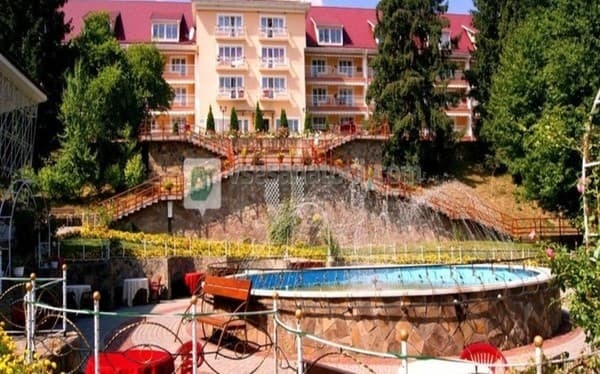 Further from the railway station go to the bus station and go by shuttle bus in the direction of Dolgoe to the Borzhava sanatorium. Transfer order is possible.